One of my favourite things about speculative fiction is imagining non-human sentient races. It’s endlessly fascinating to me to imagine creatures who are not quite like us, who have different thought processes, different perspectives. I thought it’d be fun to run down my ten all-time favourite non-human races within fiction. We all know what’s going to be #1, but let’s pretend there’s some suspense. Innovation is good, but there’s also something to be said for taking the same old stuff and just doing it really, really well. This is what Mercedes Lackey and James Mallory did with their Obsidian Trilogy. 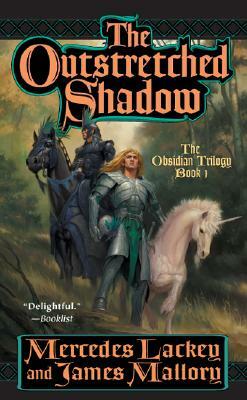 In many ways it’s an extremely generic high fantasy adventure, but it polishes all the old tropes to a brilliant lustre. The best example of this the series’ Elves, as fascinating and alien a bunch as you’ll ever see. I loved the subtle intricacies of their culture, their bizarre yet somehow logical ideas of politeness. Castithans are one of those things I shouldn’t like, but do. Objectively speaking, they’re a nasty bunch. Dogmatic, brutal, conniving, unrepentantly sexist. But if their society is cruel, it’s beautifully cruel. Gloriously cruel. They’re like if the painting The Scream was a society: horrifying, beautiful, disturbing, and fascinating all at once. There is such depth, such intricacy, and such artistry to everything they do that it’s easy to forget how horrible it all is. There’s a lot of brilliant things about how the Cylons were depicted in the BSG reboot, but to boil it down to its core, they hit a great balance of making them clearly real people with real feelings, but also clearly not human. Always a difficult tightrope to walk. The whole point of the series is that Cylons are not mere machines but feeling individuals, but they didn’t fall into the trap of making them identical to humans. They clearly have their own unique perspective and psychology, as seen in things like their “projection” ability. The wonderful thing about the Elves is that they’re equally compelling as both heroes and villains. 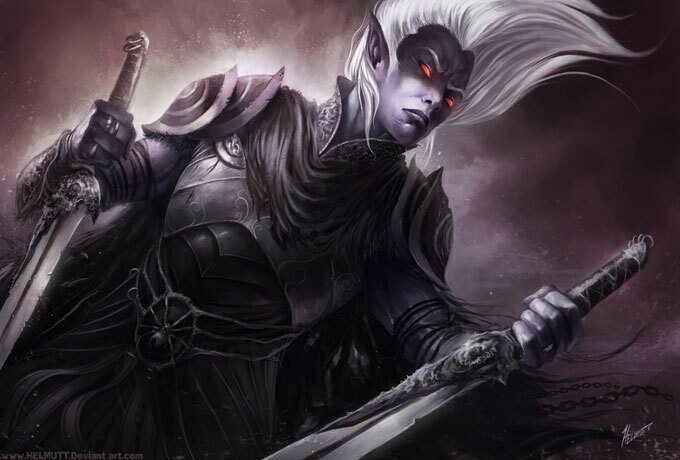 I’m not the biggest D&D fan around, but I’ve always had a great fascination with the Drow. I think they’re perhaps the best example of Elves who are anything but noble. There is something enticingly alien about the Drow. They come from a place without light, or life as we understand it; a place of darkness and mystery where those of us born under the sun are not welcome. Like any good Elves, they are beautiful and majestic, with an intricate culture, but whereas some Elves are virtuous, Drow are terrible and deadly. 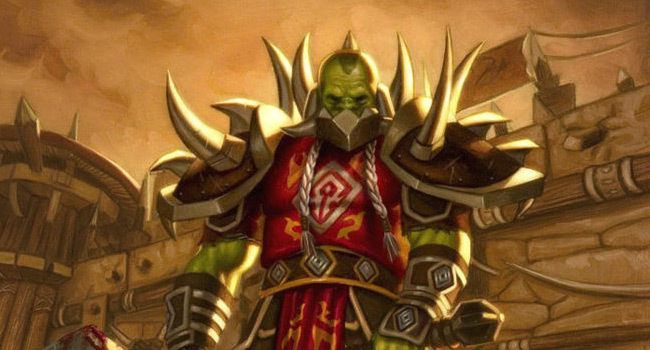 After the last few WoW expansions, I think the whole Warcraft community is a bit burnt out on Orcs, myself included. That said, that doesn’t change the fact that Warcraft’s Orcs are awesome. 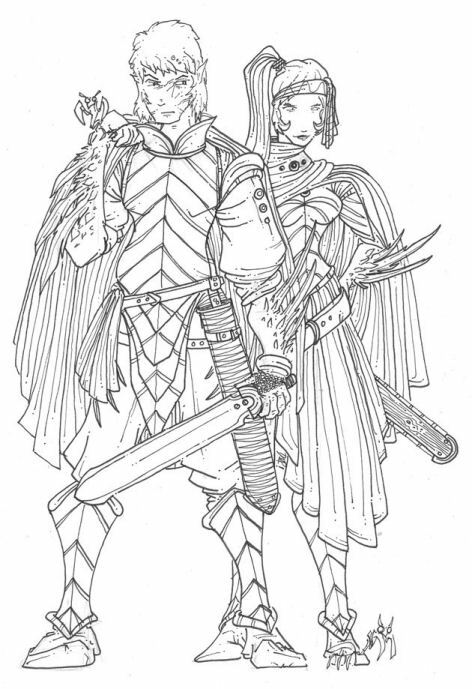 They are a fresh take on the archetype, not just savage brutes but a complex and multifaceted people. Over the years, they’ve been used to make all sorts of great points about the assumptions we tend to make, judging books by their covers, and how one society’s monster can be another’s hero. Their story is an incredible rollercoaster of highs and lows, and even after all the terrible things they’ve done, it’s almost impossible not to feel sympathy for them. They destroyed themselves as much as they destroyed their foes. I like to make fun of the Night Elves. They’re dogmatic, xenophobic, smug hypocrites, and as a proud native of Quel’thalas, I’m somewhat obligated to dislike them. And World of Warcraft has certainly ill-served them. They’ve become little more than hippies these days. But all that said, there’s still a lot about Night Elves that’s incredibly cool. The original vision of them being savage, feral Elves was a really fresh take on the archetype. They’re not Drow, and they’re not the traditional cultured Elves, either. They’re a very unique breed unto themselves. Listen to Nightsong, remember the days when Ashenvale was a place outsiders feared to tread, and reflect on the terrible majesty of the Kaldorei. That’s the Romulans in a nutshell. They’re the bad guys, yes, but there’s also an incredible sense of history and culture to them. They’re better than you, and they know it. 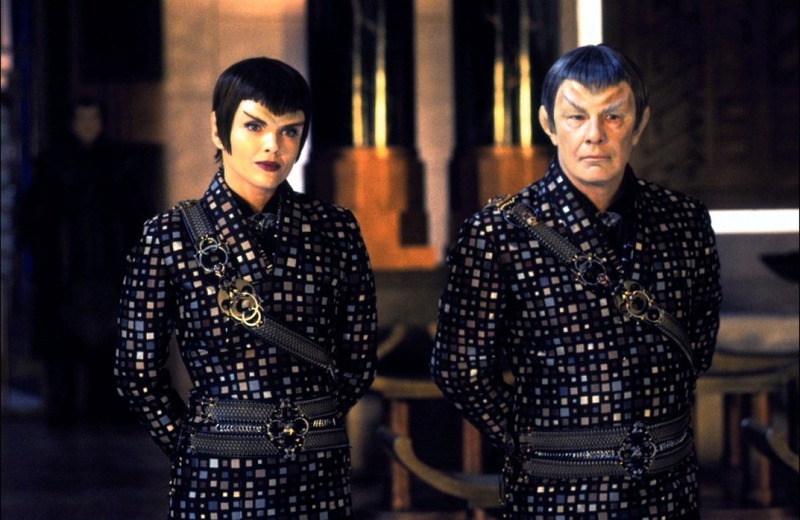 I don’t think Star Trek has ever really explored the Romulans to the extent they deserve, but at the same time that sort of adds to their mystique. Adrian Tchaikovsky’s Mantis-kinden are similar to Elves in many ways. They’re forest-dwellers, they live in tune with nature, and they’re a relic of a long-forgotten time. 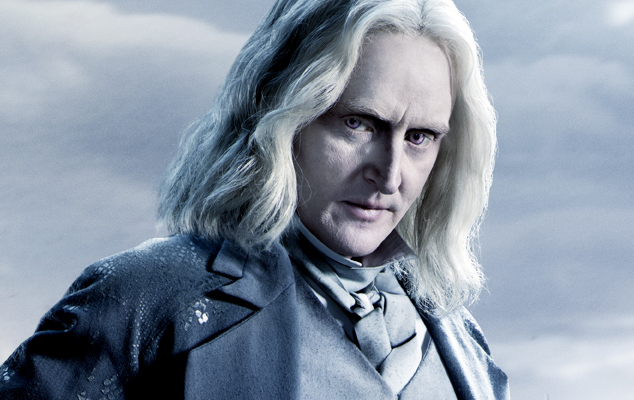 However, the Mantids are much harsher, more savage, and more bloodthirsty than Elves. They are graceful, but also terrifying. They’re not just a relic of an older time, but a relic of a darker and far more brutal time. Of course, that just endears them to me all the more. More than almost any other non-human race I’ve encountered in fiction, the Protoss manage to feel both convincingly alien and yet still like real people. On the one hand, the Protoss are very clearly not human. Their long lives, their telepathy, their warrior culture, and their connection to the Xel’naga give them a perspective completely different from that of humanity. But unlike many aliens in fiction, the Protoss are not just an archetype or a rigid set of personality traits. They are not a mono-culture. There is great diversity among them. This was true from their inception, and Legacy of the Void went to great lengths to further expand upon the various different Protoss cultures. Think about it. How often does fiction bother to give non-human races a variety of nations with unique cultures? I’m sure it’s happened outside the Protoss, but I’m hard-pressed to think of any examples off the top of my head. All of the Protoss cultures share the same warrior spirit, but how that identity manifests varies greatly, from the rigidly honour-bound Khalai, to the fiercely individualistic Nerazim, to the brutal Tal’darim. Even within those broader cultures, there can be variation. 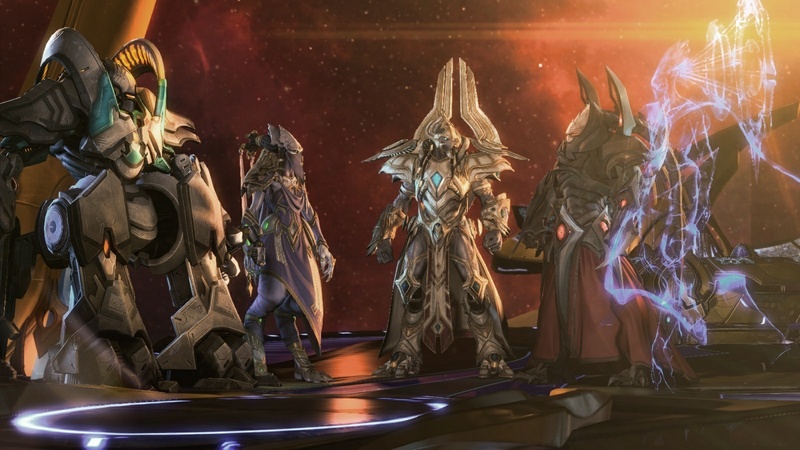 Aiur’s society includes dogmatic hardliners like Aldaris, open-minded idealists like Artanis, curious scholars like Karax, and bombastic warriors such as Fenix. This diversity has allowed some fantastic points about multiculturalism to be made throughout the Protoss story. The Nerazim were rejected by greater Protoss society for their “deviant” behaviour, but without them, the Protoss never could have survived the onslaught of the Swarm. When the tables were turned, many Nerazim did not want to harbour the Khalai refugees, but without them, the Nerazim would have fallen in the End War — and all creation with them. And beyond all that, it’s hard not to admire the honour, dedication, and sheer badassery of the Protoss. Take the immortals. These are people who have been crippled and mutilated by combat. A human in that circumstance would consider death a mercy. But the Protoss willingly — gladly, even — volunteer to have their ruined husks implanted into giant war machines so that they can continue to serve their people for years, perhaps even centuries, to come. Yeah, this is the most unsurprising ending to a listicle in history. By now my love of the Sin’dorei is very well-documented. I’ve talked before about how they won my undying devotion by maturing along with me. When I was a child, they were a majestic if simplistic embodiment of goodness, and when I became a teenager, they evolved into something darker, edgier, and sexier — everything a teenage boy could want. Their story has so many strong commentaries to make on issues like addiction, genocide, racism, and victim-blaming. Which isn’t to say that they are saints or without blame in their own downfall, but that just further deepens their profoundly complex themes. 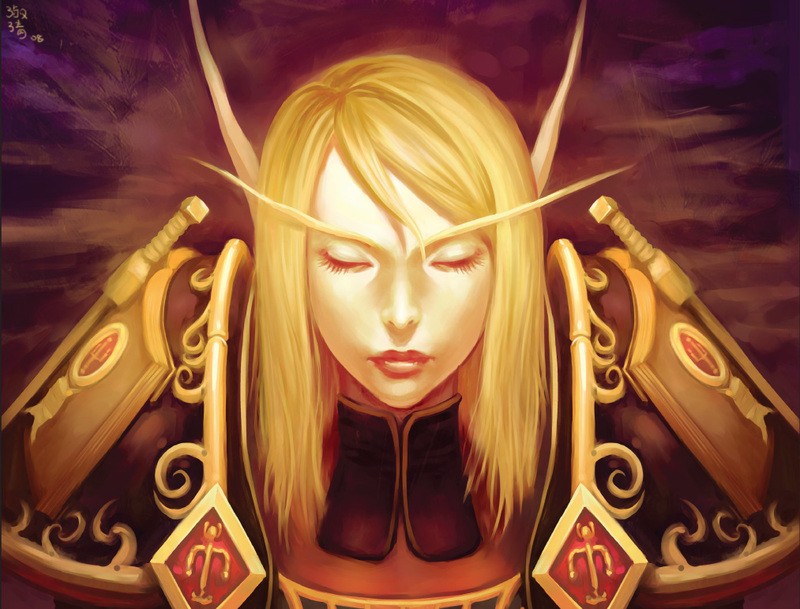 For the Blood Elves, there are no clear right answers. Nothing is ever simple. They are one of the most fascinatingly complex moral studies in speculative fiction, their elegance and grace are unmatched, their tragedy is heartbreaking, their endurance is inspiring, and their sheer cool factor is undeniable. My love for non-human races in fiction is such that there are many more favourites who didn’t make the list. One thing Warcraft has never lacked for is fascinating races, so in addition to those mentioned above, I could also praise the Tauren, the Worgen, the Forsaken, the Pandaren, the Faceless, the Vrykul, and the Nerubians. Adrian Tchaikovsky gifted us with no end of fascinating races in Shadows of the Apt, and in addition to the Mantids, Spider-kinden were always a favourite. Star Trek’s aliens tend to be pretty bland as a rule, but they have come up with some good ones over the years beyond Romulans: Klingons, Borg (pre-Voyager), Trill, Tamarians, Denobulans. The much-missed Myth franchise of video games was fantastic for coming with interesting new races instead of just relying on the same old archetypes. I especially liked the nightmarish Myrkridia and enigmatic Trow. Ian Irvine is also pretty good at coming up with new concepts within fantasy, and I’m especially fond of the mighty and regal Charon. Do you have any favourites I didn’t include on my list? This entry was posted in Misc. and tagged Battlestar Galactica, because Elves that's why, Defiance, Dungeons and Dragons, fantasy, sci-fi, Shadows of the Apt, Star Trek, Starcraft, The Obsidian Trilogy, Warcraft by Tyler F.M. Edwards. Bookmark the permalink. Sara King’s Legend of Zero series had some pretty fascinating races. If you haven’t read it, I would highly recommend it. My favourites are probably the Huouyt, shapeshifting tentacled assassins, and the Baga, flying creatures the size of a football. Hmm, that does sound interesting. I have a bit of a backlog of reading material at the moment, but I’ll try to remember it. I don’t think any of those would make my top 100 fictional races let alone the top 10. Most of the WoW races are meaningless to me except for the Dwarves and the Gnomes, who I just think of as the exact same Dwarves and Gnomes in every other fantasy setting ever. 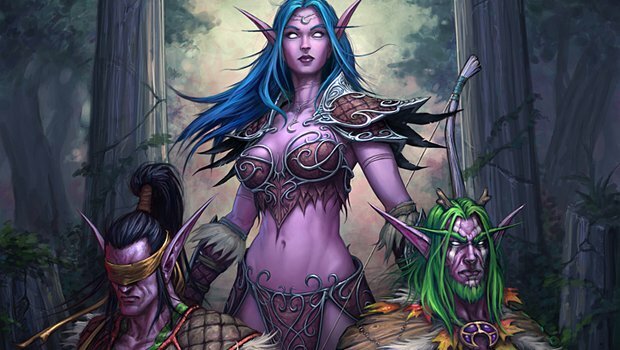 The WoW elves, all flavors, I have always found particularly off-putting, mostly because of the visuals. I’m not Syp when it comes to elves but I do generally dislike them. I like half-elves though, as a rule. I don’t take well to elves but I do like Faeries. Jim Butcher’s Seelie and Unseelie Courts are strong versions but even better are the flower houses in Tad Williams’ “War of the Flowers” and the anarcho-punk fairies of Martin Millar’s “The Good Fairies of New York”. In MMOs I like anthropomorphic animal races best, my favorite being Vanguard’s Raki, very closely followed by EQ2’s Ratonga. In SF there are really far too many to choose from or even remember although the Kzinti always come to mind as the archetype of the feline predator race. Then there’s the Wub from PKD’s “Beyond Lies The Wub” – once met, never forgotten. If I went to my bookshelves I could come up with scores of them. Fred Pohl was particularly good at sketching out alien races in a few sentences. I just finished “The Long Way to a Small, Angry Planet” by Becky Chambers, which reminded me of Pohl somewhat. That’s almost a textbook example on how to do alien races well.